We know we are a tad bit biased, but Winter Haven really is the perfect place to visit, live, work, play and raise a family. 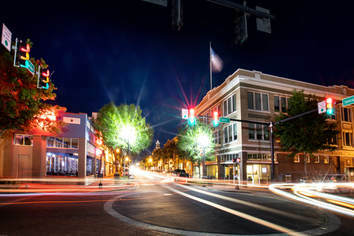 With a population within the city limits of just over 42,000 and approximately 80,000 people in the “greater” area, we have the benefit of the authenticity of a small hometown community, with an economy built on small business and entrepreneurs, as well as larger industry partners and a rapidly growing medical and technology center in our downtown business district. 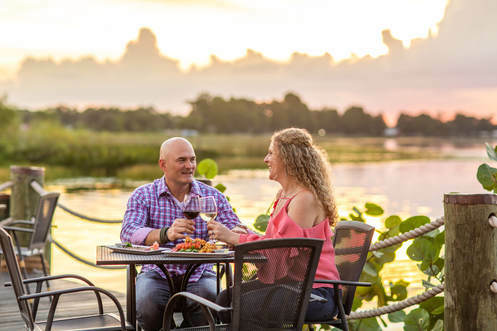 With job opportunities, lakeside lifestyle, numerous higher educational opportunities, a vibrant music, theatre and arts culture and the most welcoming citizens in Central Florida, why wouldn’t you want to make Winter Haven a part of your vacation or your permanent home? Winter Haven is almost directly in the middle of the state, located about 45 minutes in either direction from Tampa and Orlando and just an hour and half from some of the country’s most beautiful beaches. Residents enjoy lower cost of living, but don’t have to travel far for the most popular vacation destinations and restaurants in the world . . . but you’ll find there is a lot to do and see right here in Winter Haven including LEGOLAND® Florida Resort. Our natural beauty includes over fifty-five lakes— many of them canal connected— making us the “Chain of Lakes City” and allowing countless hours of boating, fishing, water skiing, paddleboarding, kayaking and wakeboarding. If solid ground is more your speed, we have miles of nature trails, cycling paths, parks and acres of golf courses to keep you active and engaged. View the visitor and relocation guide here.